December 10 was a busy night for music; there was a festival in the south, the Red Ninja Fest in Makati, a protest rally in Quezon City, and somewhere in Greenhills, Secrets was unfolding. When the concert was announced, people were ecstatic. 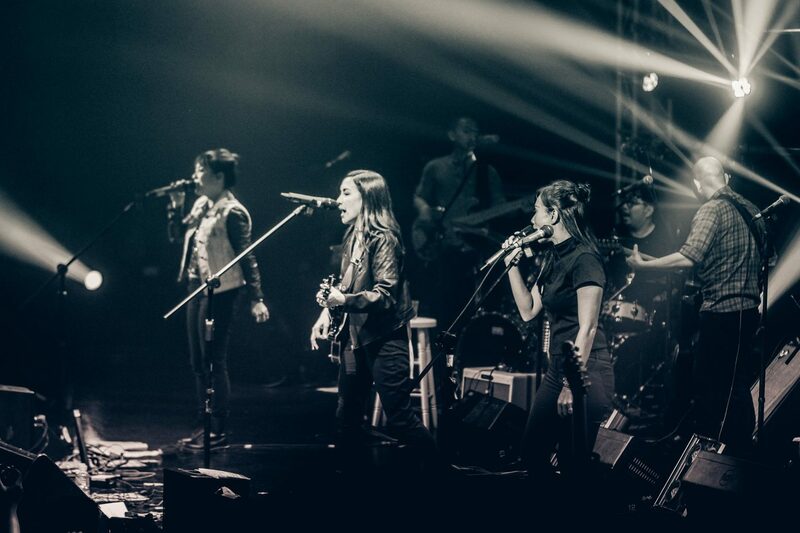 Aia de Leon, Barbie Almalbis, and Kitchie Nadal are three of the most loved singer-songwriters of the Filipino music industry so the concept of seeing three of the biggest artists of a generation performing on one stage had people abuzz. Aia, Barbie, and Kitchie have a lengthy and winding history with the music scene. All of them came into the scene in the middle to late 90s as front women of their respective bands. Two decades later, they’ve come into their own as solo artists. Their discography abounds and their songs have become identifiers of recent pop culture history and hearing them perform many of these songs was ride down the road of nostalgia. The night began with a high and as the audience filled up the room, Music Museum became witness to a night of music euphoria. The evening was bookmarked by separate performances by each artist, as if you were having mini-concerts within. Each performed a total of roughly nine songs; a mix of old favourites from their former bands and their bests as solo artists. Aia de Leon kicked off the night with an intent to connect, which was evident in the way she interacted with the audience. Having gotten sick prior to the concert, Aia had to save her voice for singing only, so she couldn’t speak at all during the entire duration of Secrets. She opted for a rather quirky approach to communicate and had what supposedly would have been her spiels projected on screen. It was so appropriate for the night’s thematic and by the end of her set, you feel like you know her better even by just a fraction. Bandwagon spoke to a fan of the three singers, Jennylyn Reyes (32), who shared with us her choice favorite from the night’s first performer. She says, “I love Aia’s new song, “Tao Lang.” Her voice is so powerful and crystal clear. I was having goose bumps while she was singing kasi ganda talaga ng voice niya (because her voice was really beautiful.” Tao Lang is a cautionary track that spotlights Aia’s voice and her songwriting’s honesty. In its message of distancing, you get to see a version of Aia up-close. Aia’s set showcased different songs from the course of her career with Imago. Aia, who is youngest among all three in terms of being a solo artist, was with her band for 14 years (1999-2013). With a lengthier time with her band, Aia was able to grapple with more styles of music like Folk during her earlier years, (Laya, Rainsong). And before playing around with pop (Taralets, Anino), Aia and her band mates released a slew of songs (Sundo, Akap) any emo kid from the early to mid-2000s would’ve known by heart. With every song, Aia unravels herself. At one point, she changes to an acoustic guitar, steps off stage, and heads to the middle of the crowd to sing Sundo. It’s a beautiful moment that surrendered itself to the audience. Even while harbouring a sickness, Aia managed to reach every corner of the venue without a mic. Everyone fell silent in wanting to grasp Aia’s voice; but with a song that’s so beloved by many, the audience couldn’t help but eventually sing along. It’s one of those moments you don’t forget as a music fan, not just because it showed intense talent but because mostly for the honesty it revealed. In 1999, a Philippine teen drama called Tabing Ilog aired for nearly four years and eventually held its place as one of the most iconic shows from that era. With it was an eponymous theme song that became as iconic as the show. The voice behind it was Barbie Almalbis', who at that time was still the frontwoman of Barbie’s Cradle. Barbie continued to pen songs that would eventually become staples for high schoolers learning guitar for the first time. Alongside the success of her songs was a commercial success in which she lent voice to various recognizable commercials, one of which was a collaboration with Kitchie Nadal. She starts off with Money For Food, a song she wrote back in college for Barbie’s Cradle. She moves on to Just A Smile, a song popularized during the mid-2000s. Her set easily transports you to that time wherein she, Aia, and Kitchie reigned with their songs and voices. It almost feels like Barbie chose to play Firewoman, Tabing Ilog, and Limang Dipang Tao specifically to make you feel that way. A very sweet moment from her set, however, came in the form of her version of A Christmas Song which was perfect for her saccharine voice. There is a reason for the enduring and unabashed likability of Barbie Almalbis, and it shows from the very moment she stepped on stage. 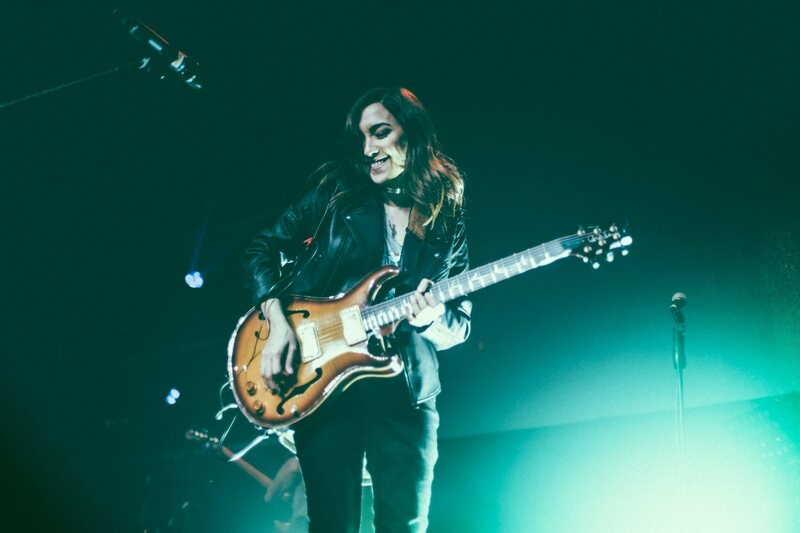 There is a lightness in her that emanates when she has a guitar in hand. Before she even opens her mouth to sing, she runs away with a guitar solo and you can almost see a certain glow around her. Later on, during the trio’s group performance, she does the exact same thing. Barbie gets lost in her guitar playing and it’s tickling to witness someone so into her element. For someone who has played in every corner of the country, Barbie shows the kind of gratitude that most artist of her longevity do not possess. She’s practically a pillar of the industry but there’s a fetching refusal in the way she remains childlike when it comes to her music. Kitchie Nadal takes on the stage last; she doesn’t speak a lot but she does with her songs. She opens with Isang Araw, follows it up with Run, and then sings Majika after that. All three songs are representative of her songwriting— Isang Araw is a conscientious track that calls for nationalism, Run is high on poignancy, and Majika is a modern ballad best characterized with Kitchie’s brand of stylized rasp that continues to captivate people. 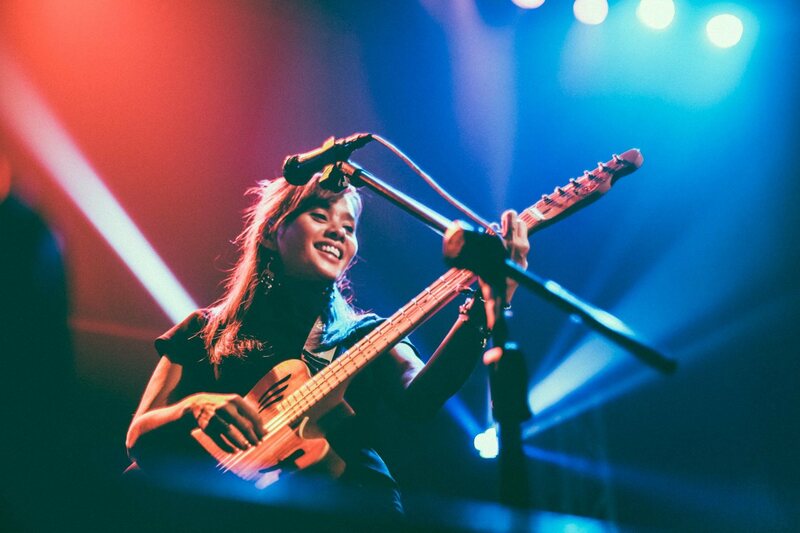 After a 5 years with Mojofly, Kitchie Nadal started her solo career with an explosion. In the emergence of Koreanovelas in the Philippines, she led the pack with Huwag na Huwag Mong Sasabihin for Lovers in Paris. In the years to follow, her trademark emotive songs became soundtracks to more television primetime shows such as Majika and Rounin. She sang all three of previously mentioned songs during the night but the high point of the evening was when she had three members of Roar Kids join her on stage. Roar Kids is composed of a few of the children that Kitchie met and helped through her work in her ministry. 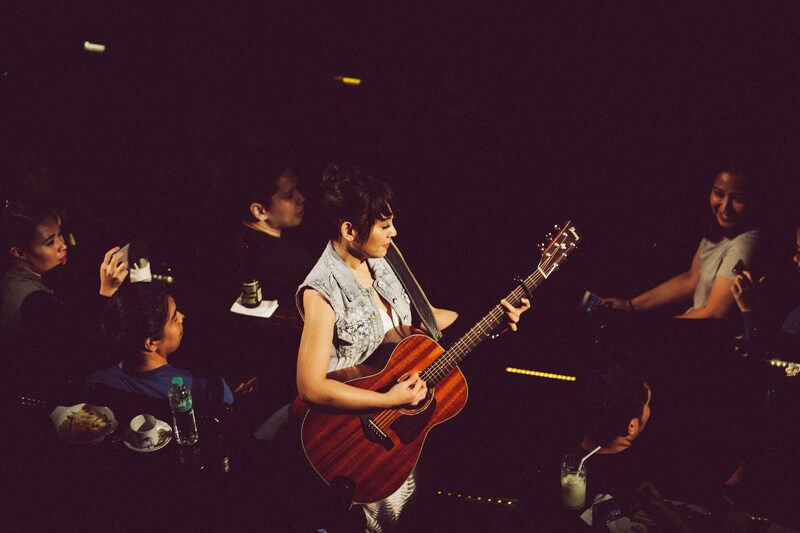 Kitchie stood at the side, strumming her guitar, as she let the kids have their moment while they sang and rapped. To say that the entire audience fell in love with the kids was an understatement. She closes off with Bulong, one of her biggest songs during the mid-2000s. It was a mix of everything that Kitchie stood for, its catchiness doesn’t weigh down the message and if anything, lifted it up. The last two songs succinctly capture the kind of artist Kitchie is. It showed her in a different context— that beyond songwriting, Kitchie was a teacher, and a storyteller, and a messenger. The most endearing part of the night, surprisingly, is hearing about their friendship when they’re not on stage. Barbie starts off the banter before their joint performance with an anecdote about Aia, and the three endlessly talk about one another. There is an innocent charm as they reveled on the friendship they’ve built during the years they’ve spent in the same industry. They cap it off by sharing the stage and they play three cover songs, Dreams by the Cranberries, Hallelujah, and Nirvana’s Smells Like Teen Spirit. It’s an odd mix but somehow, it works because they look like they’re having fun. Secrets is the kind of concert that makes you ask, “why hasn’t this happened already?” It’s as inevitable as saying that they’re here to stay and this concert simply echoes that. Aia de Leon, Barbie Almalbis, and Kitchie Nadal, all came into the music scene at the same time and simultaneously dominated a generation with their voices and songwriting. And with a second round coming up in February 2017, maybe they could be the voices of a new generation, too. *PSA: The videos are wrongly time-stamped as December 20; but Secrets was held on December 10, 2016. Secrets: A Night with Aia, Kitchie and Barbie was presented by Vandals on the Wall and Gabi Na Naman Productions.